Chapel Hill, nicknamed the “Southern Part of Heaven” is a diverse population of over 48,000 people ranging from students to faculty to retirees. 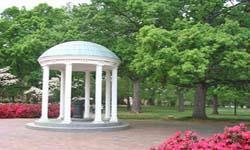 Although the town’s transformation from a small, rural village to an urban university city has been relatively recent, around 1940, Chapel Hill has managed to retain its southern elegance while becoming a cosmopolitan city, modernizing itself to fit quite well into the twenty first century. Once having an identity only as the home of the university, Chapel Hill has moved beyond that with a diversity that ranges from learning and a free exchange of ideas to maintaining a broad spectrum of athletic and cultural programs. It’s become a city where residents feel pride not just for what Chapel Hill was but for what it has become, embracing modern day life while retaining its love for its history and traditions. Named after New Hope Chapel, Chapel Hill town lots were auctioned in 1793 when work began on the first university building, although it was still two years before residents began occupying the permanent homes. By 1871, H.B. Guthrie, Chief of Police was being called Mayor, even though officially he had been hired to keep the peace and preside over meetings of the board. Linked forever with the town of Chapel Hill is its university. Created to serve the school, Chapel Hill has lived up to its duties and surpassed them, covering 820acres until its first modern annexation of Northside school and 275 acres, bringing the town’s size to almost 21 square miles. Today, reminders of the history of Chapel are all around, cherished by residents and enjoyed by visitors. 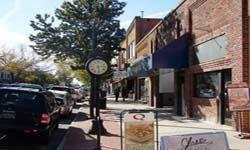 Quiet winding streets, homes on wooded lots and intimate shops add to the charm of the city. Join us here and enjoy the natural elements that mere with the bustling metropolitan feel of Chapel Hill! The Ackland Art Museum holds some of the most significant collection of art and work on paper in the Southeast. To learn more visit: Ackland Art Museum. Nestled in the heart of the university’s historic campus, the Carolina Performing Arts has been host to world renowned performers through out its history. 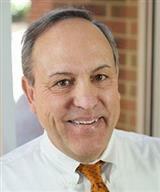 For more information, please visit: Carolina Performing Arts. Native to Chapel Hill or not, you’ll love going behind the scenes to explore Southern dishes as well as house made chocolate to New York pastrami and organic wine and beer. To sign up for a tour, visit Taste Carolina Gourmet Food Tours. Regardless of your skill level, there’s a tee for you! 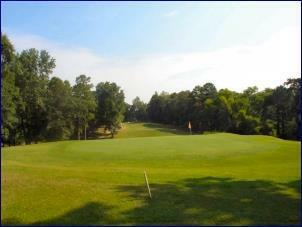 The 18 hole golf course designed by Tom Fazio in 1949, measures 6580 yards from the longest trees. To view a complete listing of attractions and activities, please visit: Activities in Chapel Hill. Come join our outdoor arts festival to celebrate Chapel Hill’s rich culture. Enjoy live entertainment with family and friends and enjoy dinner in some of downtown’s nationally acclaimed restaurants! To learn more visit: Chapel Hill Festifall 2015. The Fourth of July is ready to be celebrated in Chapel Hill! Bring the whole family and enjoy live entertainment, children’s activities and a spectacular fireworks display! For more information, visit: July 4th celebration and fireworks. To learn more about the many activities and events in Chapel Hill, please visit: Activities in Chapel Hill.